This blog offers an unlimited view of the Royal Navy, because it’s written by the people who truly understand what it means to be a part of this exceptional service – the Royal Navy personnel themselves. We are delighted to be the only one of the Armed Forces to have created a blog and hope you’ll enjoy sharing our Life Without Limits. Whilst news of my final blog may not fill too many people with sadness, for me it has a particular melancholy feel to it. I was informed about 2 weeks ago that I was to leave DARING at the beginning of May, to take up a new appointment as Commander of UK’s Amphibious Task Group. A fantastic job, but brings to an end my intimate relationship with DARING with a great deal of unfinished business. Relating to aviation, Bennett, COMUKATG, HMS Daring, Merlin, Sea Viper, T45, trials. I have finally returned home after a tough week competing in Hyere, France. The regatta was plagued by light winds and long delays making for frustrating and difficult conditions. Hanging around in dinghy parks and on the water is something you have to get used to in Olympic sailing but I’m sure we didn’t hang around this much even in China which is saying something. Well it’s been a hectic 3 months with many big operations on our aircraft. I am home 5 weeks later then I initially anticipated as I came back to the UK on a cargo ship with a Merlin in the hold, rather then jetliner. Going through pirate alley we were not attacked, although the MAERSK Alabama the American ship that was on the news, was only 50km behind us. We arrived in Southampton yesterday and after getting our precious cargo airborne it was time to go on leave. Now I look forward to the next three weeks and hope to be able to unwind after 3 months away. So I said “arrivederci” to Naples and “hola”, or more accurately “hello” to Gibraltar. As Gib’ is a funny mixture of about 70% British, 10% Spanish and 20%, well, Gibraltarian. Relating to gibraltar, Medical Officer, naples, the rock. For the last three weeks I have been training in Italy in a new pair getting ready for the final national selection trial. The training has been long and hard as usual, but I’ve had a bit of added freshness in the form of Alex Gregory. He is a young new talent to the rowing team (from the sculling team) and everything we seem to do in the boat goes well. It doesn’t always work that way in new boat due to different shapes, sizes and rowing techniques - but it turns out that we were a good match. Relating to National Trials, Pair, rowing. Well, our international debut has just come to an end and we have surpassed our own expectations and probably surprised quite a few people. The aim of the regatta was to settle into some racing and identify what areas we needed to concentrate on to keep taking our training forward at the fastest possible rate. To find ourselves in the hunt for medals and to finish 5th overall and top British boat was truely amazing. Relating to 470, Clark, Olympic, Princess Sofia Trophy. It has been a busy past two months for the tower. Myslef and another controller recently fully qualified, which marks the end of a long and stressful journey! We have now headed into Easter Leave. Last time, we were licking our wounds after our formal training period with the Flag Officer Sea Training Staff. Three weeks further on, we are concentrating on developing our warfare ability in the early stages of the long road to operational service. 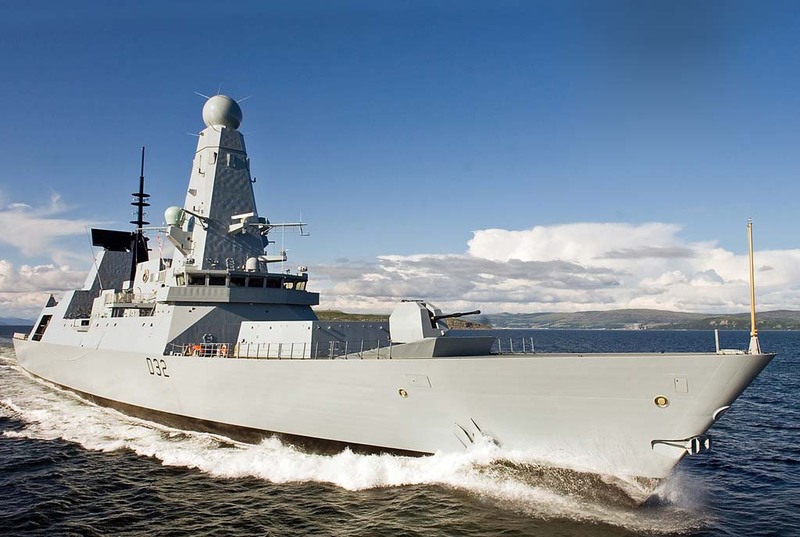 Relating to FOST, HMS Daring, Public Accounts Committee, royal navy, Sea Viper, T45, warfighting.